The European Union and the Nordic Countries provides an authoritative assessment of the intricate relationship between the EU and the Nordic countries. 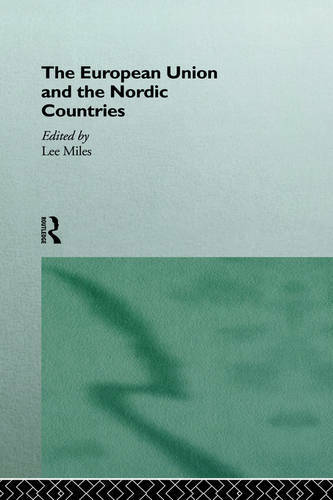 The team of authors includes academics from the five main Nordic countries. The authors explore the ramification of wider Nordic EU membership for particular subject areas, such as economic and monetary union, social and environmental policy, agriculture, fisheries and foreign and security affairs. The authors argue that the impact of two more Nordic countries becoming EU members will prove positive. However, despite further Nordic accessions seeming inevitable, this will not be easy and will require major changes in public opinion in Norway and Iceland.